New Zealand offers plenty of phenomenal hiking trails that can be traversed for days on end, and there’s no better time for it than springtime, when days are bright and clear, yet not sweltering, and nights are fresh and nourishing. Still, whether due to time constraints or simple personal preference, many of us are not enthused by the idea of marathon hikes spread across several days with a gigantic backpack and camping gear weighing us down. For those who belong in this category, yet don’t want to miss out on some breathtaking hiking scenery, New Zealand still provides a variety of options for excellent one-day hikes that will satiate your appetite for wandering. Keep in mind that the best tracks are usually remote, and getting there will require some planning and some driving. If your operating on a tight budget, it’s a good idea to search for a free transfer car heading close to your destination. Now, let’s explore our options. For a showy start, our first selection comes with a proven Hollywood pedigree. 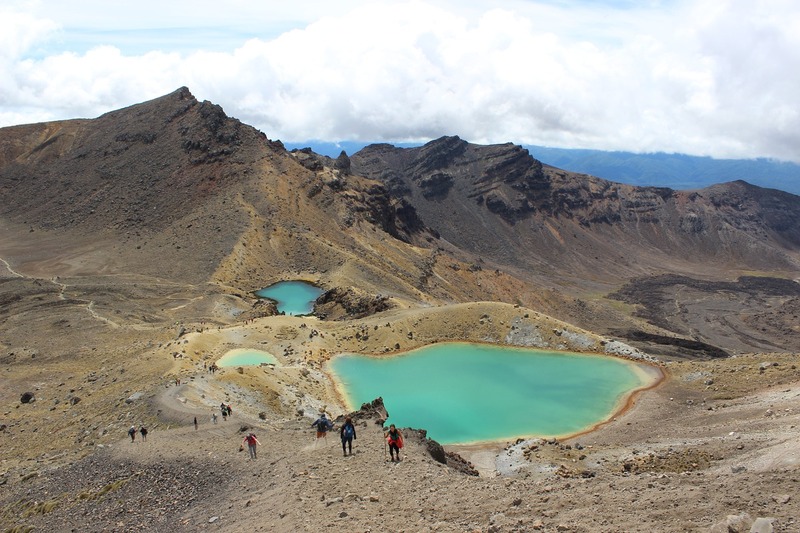 Made famous by featuring prominently in the Lord of the Rings, the Tongariro Alpine Crossing is commonly considered the finest single-day hike New Zealand has to offer. With its alien-like volcanic landscapes dotted with a wealth of colourful springs, lakes, and steam vents, your breath will be taken away practically at every step. With a length of 20km, the Tongariro trail is a full day affair, but those who are more nature-ready should not miss out on a side-visit to the otherworldly Mt Ngauruhoe, which many of you know as Mt Doom. If you like your one-day hike as intense as possible, the unrelenting steepness of the Aoraki/Mount Cook National Park will provide many a sore muscle as a memento of your visit. Popular among climbers and adrenaline addicts, the park also boasts a number of “doable” hiking trails that will compensate for your aching legs with a series of stunning views at the surrounding peaks. Start off at the highly informative visitor centre to examine the trails and find one that suits you best. 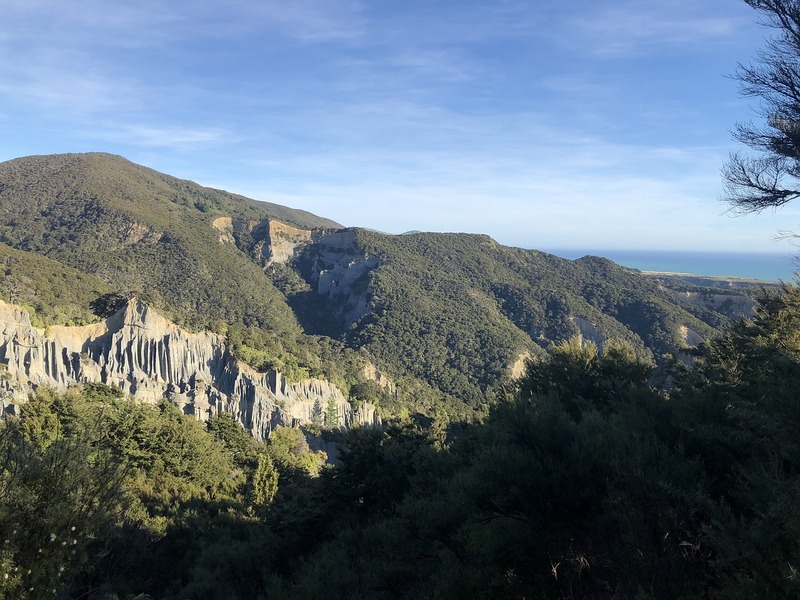 For an old-timey Indiana Jones-type experience packed with a variety of gorgeous natural and human formations, the scenic trail along the Ngakawau River gorge delivers in abundance. The aptly named Charming Creek Walkway follows an old coal railway and rewards the hikers with an eclectic mix of creaky suspension bridges, dilapidated tunnels and curious ancient machinery spread about the landscape filled with peculiar natural formations topped off by the stunning Mangatini Falls. The full walk will take away a semi-casual six hours of your time, while the trail is also excellent for mountain biking. To soak up the full scope of the dramatic landscape of the Far North in a single day, a journey to the Twilight-Te Werahi Loop delivers the full experience. With its magical interplay of light across the decor of the untamed sea slamming into mighty rock columns and the green hillside crossed with sandy patches, the gentle flat trail never truly tests your physical limitations, but bring a wealth of gorgeous vistas ideal for photos that will raise envy in your social circles. And since the hike shouldn’t last for more than 5-6 hours, consider pairing it with a visit to the mysterious Cape Reinga where the Maori spirits begin their journey to the afterlife, if the legends are to be believed. 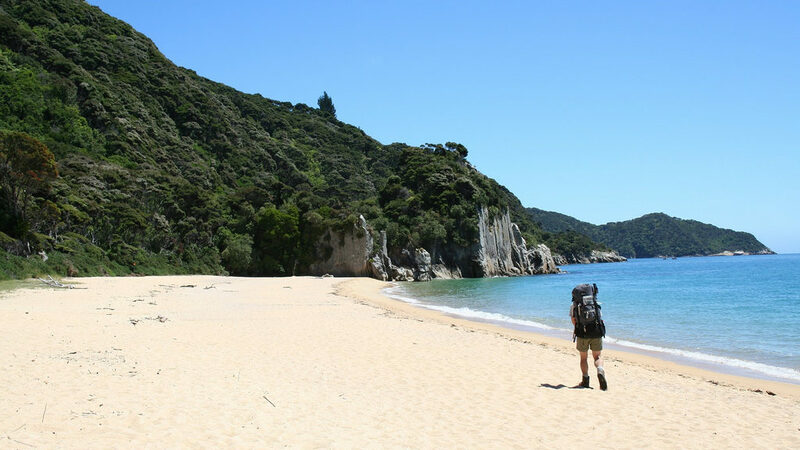 If your idea of eye candy includes pristine beaches and lush green coastlines, walking the Abel Tasman Coastal Track will give you a visual sugar rush! The full length of the trail is well-worth traversing, but it will take three (optimistically) to five (more realistically) days to complete. Thankfully, the trail is accessible by boats, so you can easily reach a select portion of the track for a one-day hike filled with postcard-worth beach scenery. The 11km stretch from Medlands Beach to Anchorage won’t exert your stamina, and it may very well be the most gorgeous part of the track, with the trail winding in and out of the rich coastal forest and onto clearings overlooking the coastline. For a more up-close experience of the Abel Tasman National Park, you can also take a kayak tour or combine it with your hike. This brief selection of one-day hikes only scratches the surface of what New Zealand hides in its vast and opulent nature. Getting lost in it is a big part of the fun, so don’t be afraid to venture out into the unknown and find your own slice of hidden paradise. The journey can be made both comfortable and affordable if you choose to get a free transfer car or campervan for a head-first jump into the scenic wealth of New Zealand.